During my dress collection phase, I would buy dresses that fall within my budget with details that I liked. I quickly realized that as much as I liked a dress, sometimes it doesn’t really like me back in that it doesn’t flatter my boyish/straight figure. The Club Monaco dress below is an example of that. 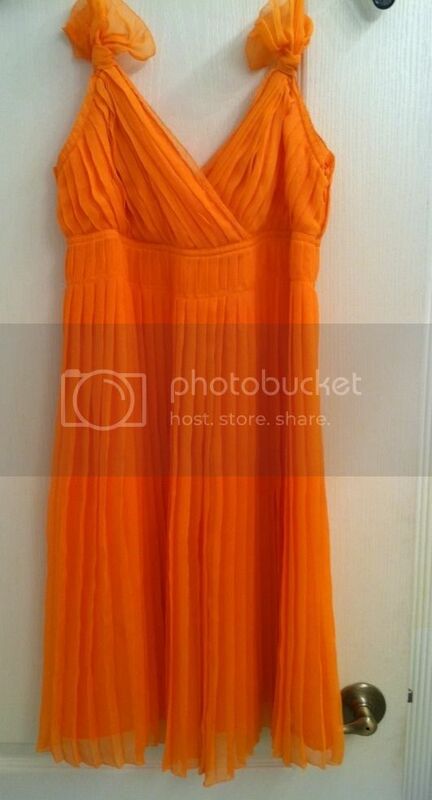 I love the color, pleats (told ya I can’t resist pleats much!) and the silk chiffon fabric. Yet, the V neckline only emphasized what a long neck I have, not too mention that I don’t have much in the chest area! Since I was in a pleated skirts phase (still am, actually but just more controlled for now), I decided to have the dress altered to become a skirt. I brought it with me on my recent trip back to KL and my friend’s tailor altered it for a whopping $5! (Thanks, J for your recommendation and help!) Here’s my first outfit debuting the dress-turned-into-a-skirt, which I wore to work. 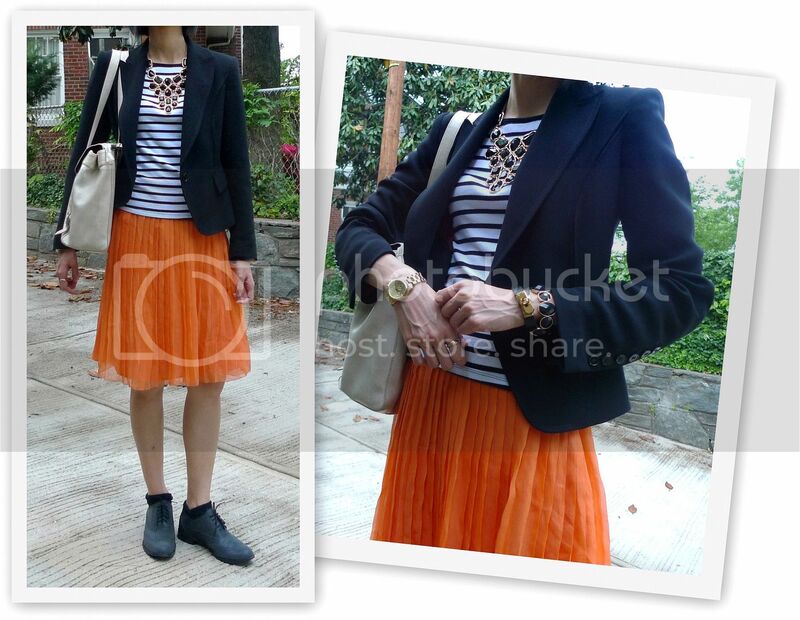 This entry was posted in Fashion, Outfit and tagged Banana Republic, Cartier, Club Monaco, Cole Haan, DvF, Hermes, orange, pleated skirt, stripes, ZARA on May 16, 2013 by fauxionista. Another favorite of mine is pleats, and here is an outfit with pleats on both the top and the bottom. I love pleated skirts and can’t quite get enough of them. I’m glad that they are back in trend as that enables me to stock up! Heh. That aside, this $5 shirt from H&M Men is awesome. It’s cotton but not wrinkly and I even have one in white! What can I say, I love black and white. And oh, let’s not forget the classic tuxedo pleats, too. 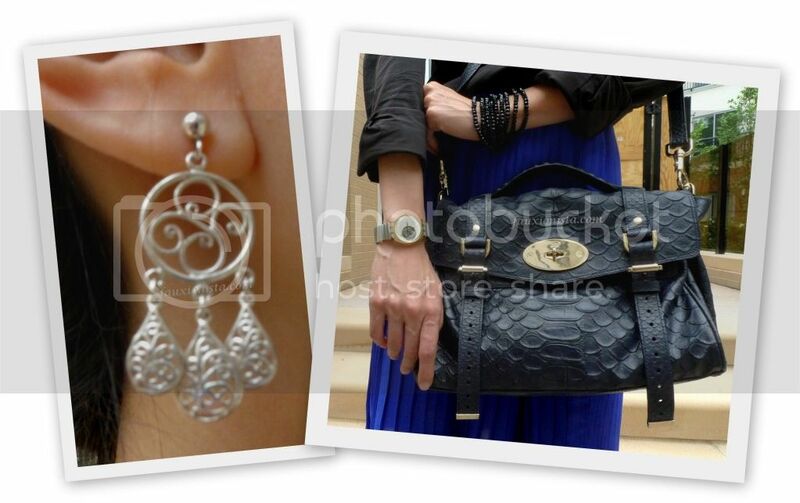 This entry was posted in Fashion, Outfit and tagged Alexa, Banana Republic, black, blue, H&M, Mulberry, nightshade, pleated skirt, pleats, Swatch, ZARA on September 6, 2012 by fauxionista. I had patiently been awaiting for the release of Jason Wu for Target and decided to set the alarm early to try and score some items online. But I reckon since the chaos with Missoni for Target (which I could care less about), everyone has been on crazy hunting mode as the items I wanted were all sold out when I logged on online at 5:35am EST on Sunday morning of the release. Boo! 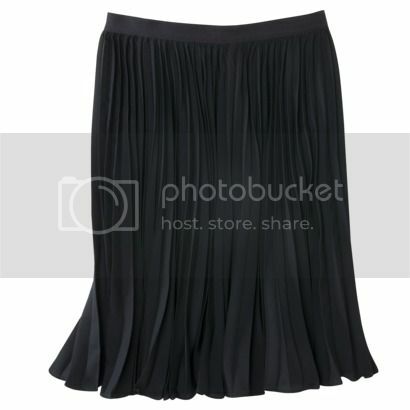 Out of the four items that I wanted, I was only able to purchase the black pleated skirt courtesy of a super kind colleague who was able to nabbed one for me as she went to the store early in the AM to find some Jason Wu pieces for herself. The skirt actually fits true to size and it’s flattering on my boyish figure. I think it’s a classic staple piece and I see myself wearing it a lot. For $29.99, I think it is a decent price and it is well-made as the skirt is actually lined with a pretty thick lining. However, I am disappointed that above all, the piece that I REALLY wanted was nowhere to be found. The navy poplin dress was a complete sell out and it seems that the smaller sizes were rare like gems! 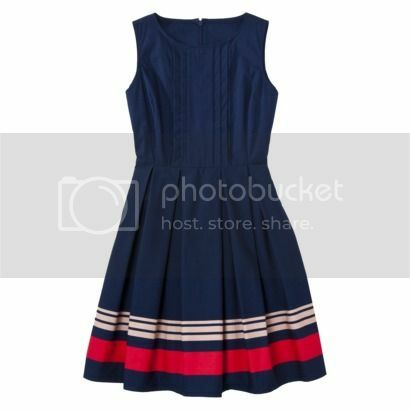 As a fan of dresses in the 50’s era, I like this dress as it fits the bill nicely with the swing skirt and the pleats as well as striped hem appeals to my classic style. Alas, I can only dream of this dress as I absolutely refuse to pay the atrocious prices for the dress on eBay and hiking to a Target store is a great hassle. Oh well, I guess I will just have to live vicariously through those who were able to score one! Were you able to score any Jason Wu items? This entry was posted in Fashion, Shopping and tagged 50s, black, dress, Jason Wu, pleated skirt, Target on February 7, 2012 by fauxionista.